No two Derringer Bespoke cycles are the same as each one features unique components chosen by the owner and customized to their exact preferences — with refined details such as hammered copper rivets, hand-made Brooks leather saddles, white tires (manufactured without the use of carbon black) and 250 different colors to choose from (some so rich they require 8 layers of paint). 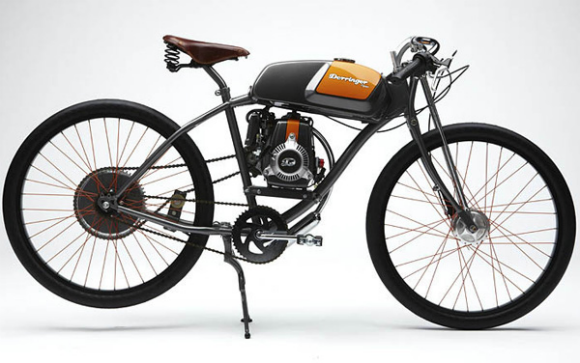 The bikes feature a 1.8-gallon fuel tank and can be pedaled like normal bicycles or powered by a moto-hybrid drivetrain that gives these fuel-efficient motorcycles a range of 180 miles per gallon. All bikes meet the stringent CARB tier 3 emissions standards. 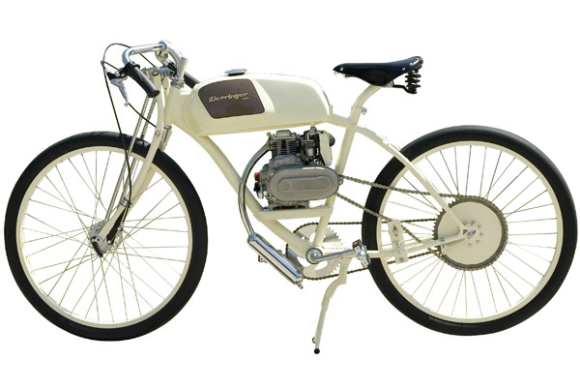 However, they do carry an upwards price tag, one you would normally associate with a designer bike.